Schmincke' s finest extra soft pastels contain the purest fine ground artist's pigments with the minimum of binding agents. Traditional pastel-making techniques are still used today that avoid the use of machinery in the process. Cut, labeled and packed by hand, these pastels have consistent color, quality, and smoothness. 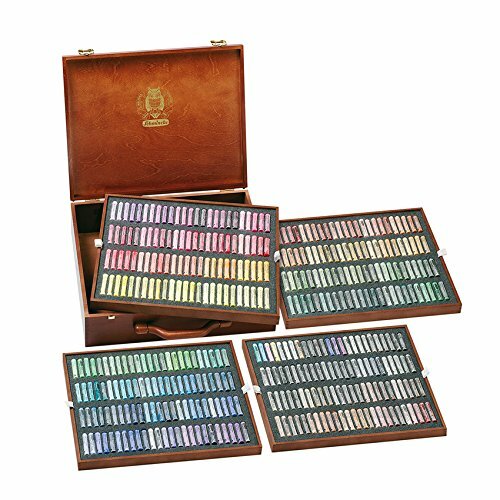 This set of 400 pastels is the full range of colors in the Schmincke Pastel line and are presented in a handsome walnut wooden box. WARNING: This product contains a chemical known to the state of California to cause cancer.